Shopee announces the upcoming Super Brands Festival happening on September 5, featuring the largest collection of deals from top brands on Shopee Mall. 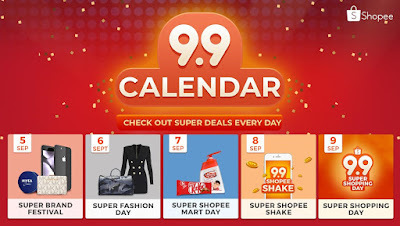 As part of Shopee’s biggest annual regional shopping event, Shopee 9.9 Super Shopping Day, leading Shopee Mall brands across all categories, including Samsung, P&G, Vivo, Bosch, Colgate-Palmolive, Penshoppe, Mossimo, Silverworks, and Drypers, will come together to bring users tens of thousands of deals for 24 hours on September 5. Users can look forward to discounts of up to 80% off, flash deals, over ₱200,000 vouchers to giveaway, and exclusive gifts from their favourite brands. Super Brands Festival is part of a series of daily themed days that kicked off on 30 Aug in the lead up to the peak of 9.9 Super Shopping Day on 9 September. All products featured on Super Brands Festival fall under Shopee Mall, and come with 7-day free returns, 100% authentic guarantee, and nationwide free shipping with lowered minimum spend. 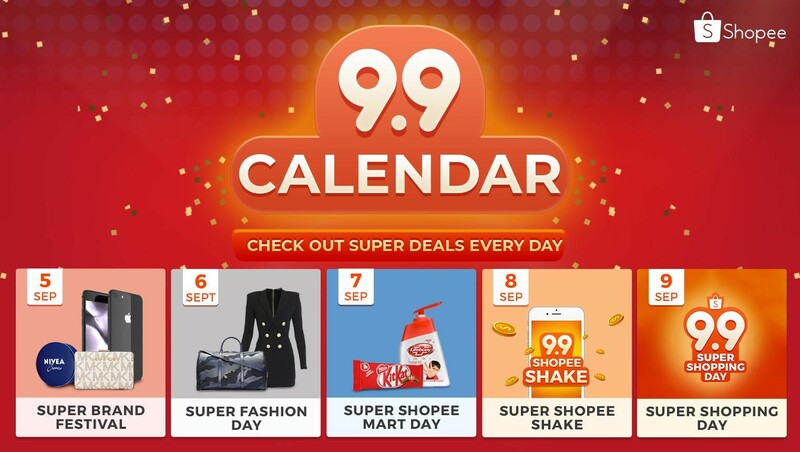 Shoppers can also get an additional 20% off Shopee Mall products with the code SHOPEE99SBF on September 5, valid for new users for all Official Shops on Shopee Mall. This year’s Shopee 9.9 Super Shopping Day is co-presented by Grab, Cebu Pacific, BPI, SM Advantage, ABS-CBN Publishing, and ABS-CBN Store. Joining Shopee in its biggest sale of the year, Grab will be giving ₱9,000 worth of Grab rides each to 99 Shopee users; while Cebu Pacific will be giving round trip tickets to Kuala Lumpur, Jakarta, Kota Kinabalu, Bali and Siem Reap. In addition, the campaign is also supported by its official partners Black Arrow Express, Freenet, Citibank, Maybank, PNB and Robinsons Bank. Check out the rest of the Super Themed Days in the lead up to Shopee 9.9 Super Shopping Day on 9 September. For more information visit https://shopee.ph/99.